The world of motorsports is one that’s always being improved upon at a rapid pace. Whether it’s reducing wind resistance by creating a new style of chassis or developing a new fuel injection system to make the most of every drop of gas, science is the driving force behind all of these improvements and adaptations. 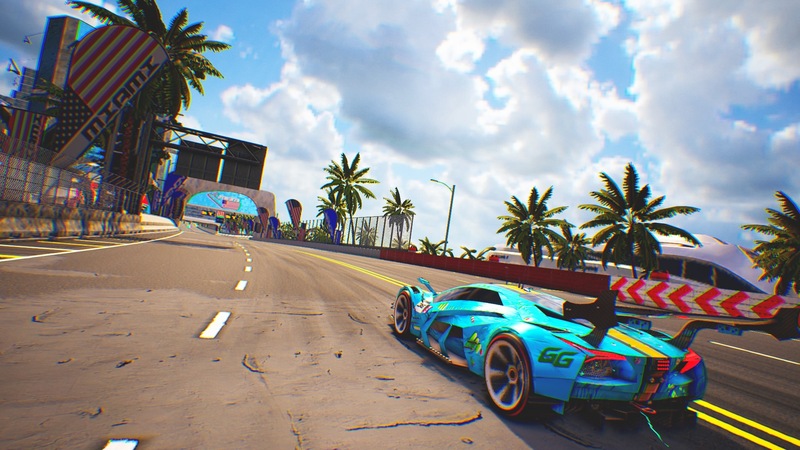 Indie developer 3DClouds take a step into the near future with their second ever title, one that draws a lot of inspiration from well-known arcade racing series while slapping on a fresh new paint job that helps bring it into the 21st century. Xenon Racer is set in the year 2030, where several car manufacturers have decided to create their own racing championship to show off the latest electric car technology in light of the lead racing competition moving towards flying vehicles. 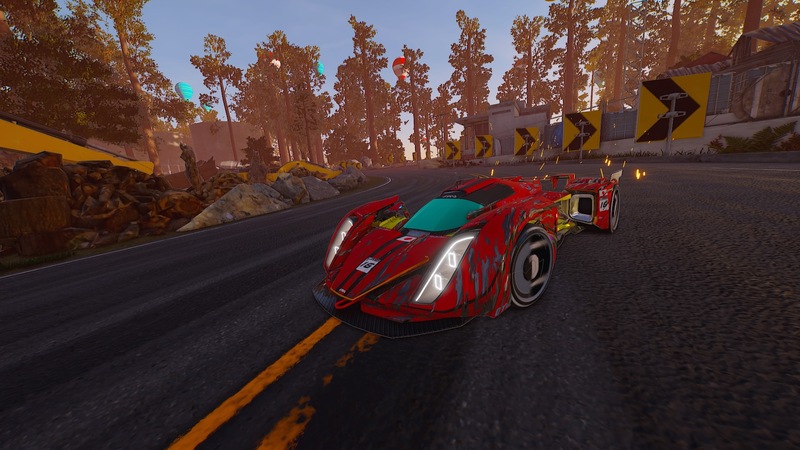 With this, you get an amazing range of differently designed vehicles; some reminiscent of the hypercar and Formula 1 designs of today, as well as some more concept-style vehicles that show off the creative minds of the designers. 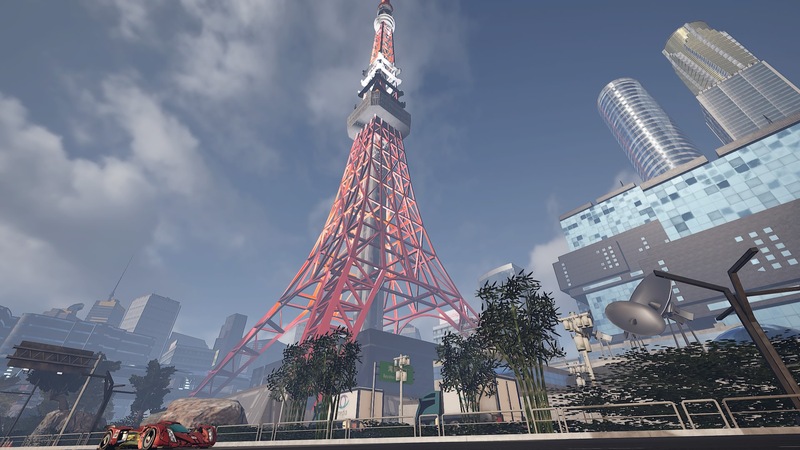 This also goes for the locations – you’ll get to travel all over the world, from Tokyo to Dubai, with beautifully detailed renditions of the cities and their not-too-distant-future landscapes. There are total of 18 cars available to unlock, each with four main specifications: Max Speed, Acceleration, Drift and Handling. Along with their base specs, you have the option to customise almost every part of the car cosmetically. Some of these also allowing you to change the specs of your car to suit either your play style, or a specific course that you need to tackle. All of the cars you use in the game are fitted with an energy recovery system (ERS), allowing you to build up a meter as you drift to convert that energy into a speed boost for a short time. The better you are at drifting, the more chances you have to give yourself a boost that can mean the difference between winning or losing. While you’re racing, your car also has a health bar that depletes when you take any major impacts; whether it’s slamming into a competitor on the track or taking a corner too fast and crashing into the guardrail. When you reach 0% health, your car will reset in the middle of the track in a stationary position, giving others the time to catch up. There are several different modes to choose from including single player, local splitscreen multiplayer (yay! ), online play and time trial mode. You can earn many of your upgrades by playing all of these different modes, but the majority of unlocks come from the championship mode. Playing through the championship, you’ll have to hit a certain placing in multiple races or complete time trial races to progress. Some races have to be completed with a certain class of car, giving you the chance to modify and try out different styles of cars. When you do acquire upgrades, you’ll get a splash page of silhouettes of different cars to tell you that you have gotten something for that car. Annoyingly, you’ll have no idea what it is you’ve collected until you dive into the garage and wade your way through a bunch of sub menus to find what’s new. That, or you can back out all the way to the main menu, go to the extras section and find out what specific unlocks you have acquired that way. A simple “new” sub-header on each aspect in the garage would help to speed up the process, which would make upgrading between races less of a chore. As with any racing game, the most important thing is how the cars feel to drive. 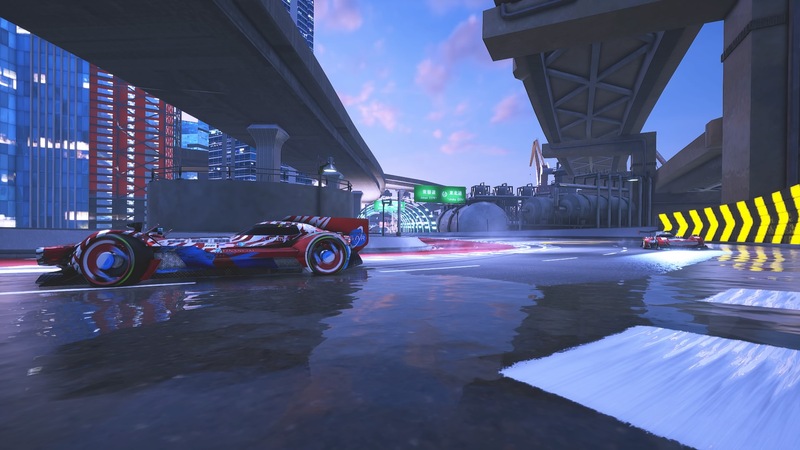 Xenon Racer attempts to hit that nostalgic feel of classic arcade games like Ridge Racer and F-Zero. The idea of driving super fast all of the time and taking corners at those ridiculous speeds is at the core of the racing here. The drifting can feel a bit snappy at the start, as you try to find the sweet spot between hitting the perfect angle of attack into a corner and being pulled back out of your drift. As you practice it more and more though, you can find that perfect driving line that allows you to build up the most boost possible and shave those valuable seconds. The one aspect of control that does seem a bit unbalanced is the basic handling of cars in general. Even though you can use cars that statistically have a better handling rating, it’s not enough to really feel the difference. Most of the cars feel super heavy, which can build frustration when you’re simply trying to move in between other cars or take an easy turn but end up in the guardrail instead. Rather than let you take turns at your leisure, the game seems to want to push you into drifting at every single opportunity, no matter how easy or severe a corner is. This is understandable in keeping with the game’s themes, but the drifting takes time to master, and each car’s drifting ability can be different. The music in Xenon Racer is a definite highlight. There’s some great menu and loading music that, again, feels akin to the OST of games like Ridge Racer (2004). To accompany these tracks is a selection of music from the record label Monstercat (including tracks from Pegboard Nerds & Nanobii). With an amazing spread of tracks across electronica, house and drum and bass genres, it does a lot to accompany the visuals and breakneck pace of the game.